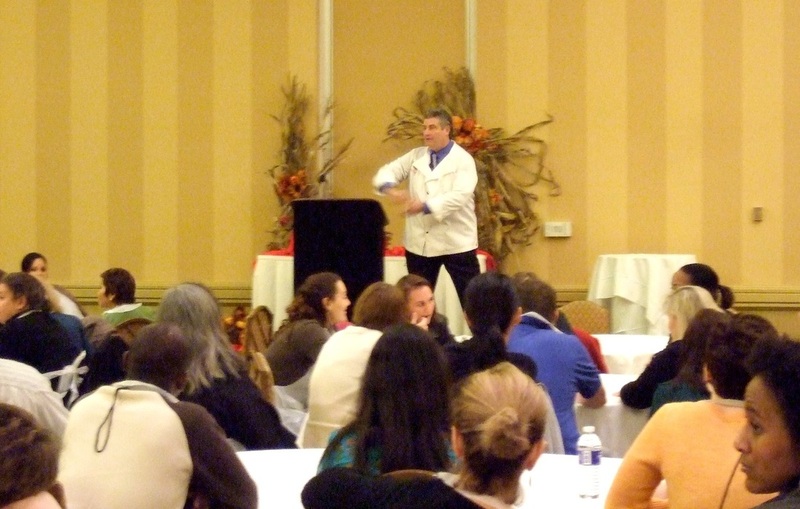 Team Building packages combine one of CEO Chef's founder, Jim Connolly, inspiring speaking topics with one of CEO Chef's experiential cooking team building programs to synergize your conference or company message to your team. We understand the importance for your group in “getting it”; the message, the feeling and the focus that you want them to have. Your keynote message from us is great on it’s own. But to embed this message into your attendees core, to know that they will bring it back to the workplace and put it into action, there is nothing like following up your keynote message with your corresponding team building experience. A powerful one-two punch of listening then doing to anchor in your message! Combine our popular keynote topic “Leading with Gratitude”, followed by our cooking team building, “Feed the Need”, and you have a powerful synergistic message of gratitude and helping out your favorite charity. This is the perfect CSR type program to first bring awareness to how gratitude plays a major part in leading your team to success. 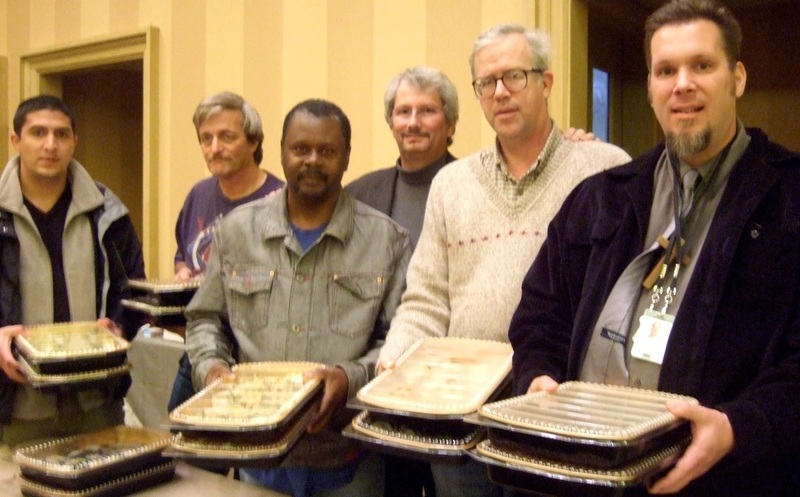 The next day or segment, with the use of our philanthropic team building, “Feed the Need”, your attendees now put that feeling of gratitude into action by preparing gourmet food items that you’ll donate to your preferred local charity. This powerful team charitable exercise is capped of with a representative from that charity sharing with your attendees exactly who will be benefiting from their efforts. 212°F is the temperature that water boils which produces steam to generate enormous amounts of power. It’s that 1o of difference that makes the impact and that we focus on in this package. This combines our keynote speaking topic “The 212°F Affect” followed by our Iron Chef type culinary team building, “The Ultimate Cooking Championship”. 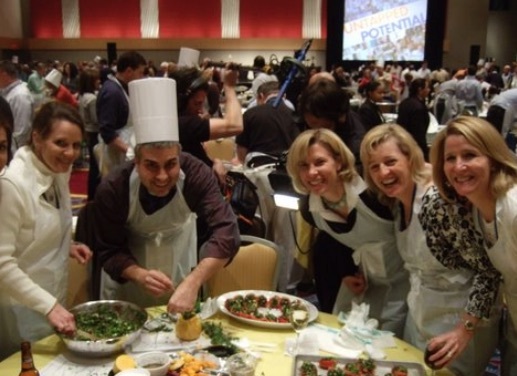 The message helps you clarify the winning attitude of “do whatever it takes!” and then later, lets your attendees apply that “go-getter” attitude by doing our competitive Iron Chef style team experience. This package is ideal for any sales team, new or experienced to remind them of the power and potential that they own within them and now it’s time to let it out! The simple answer is NOW! This team building package is perfect for any management level and focuses on the idea of connecting daily actions to your organization’s overall vision. 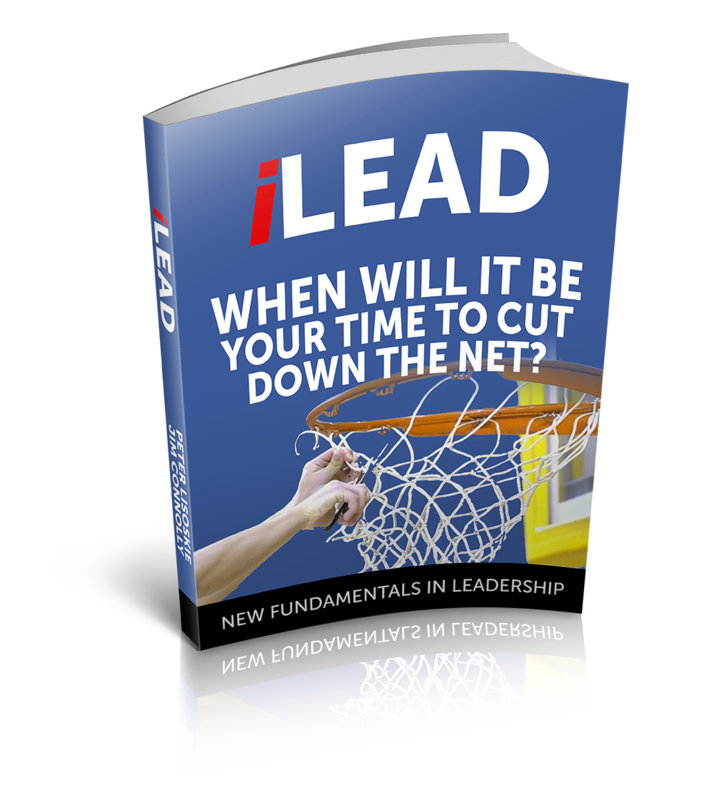 It combines our keynote topic, “Visioning to Greatness” based on our book “i Lead: When Will It Be Your Time to Cut Down the Net?” and adds the story of how coach Jimmy Valvano got his overachieving team prepared to accept greatness and to accomplish their overall vision of winning a national collegiate title in basketball in 1982. This keynote is followed with our flagship team building program, Corporate Culinary Challenge®, where your group, within a few hours, sets a vision for your team, in this case a multicultural gourmet buffet, and puts into action the things needed to realize that vision, doing it together as one. ARE YOUR READY TO ROCK YOUR TEAM'S WORLD?